Every year CAPS Hauraki organises a free fun day out for local families and children. 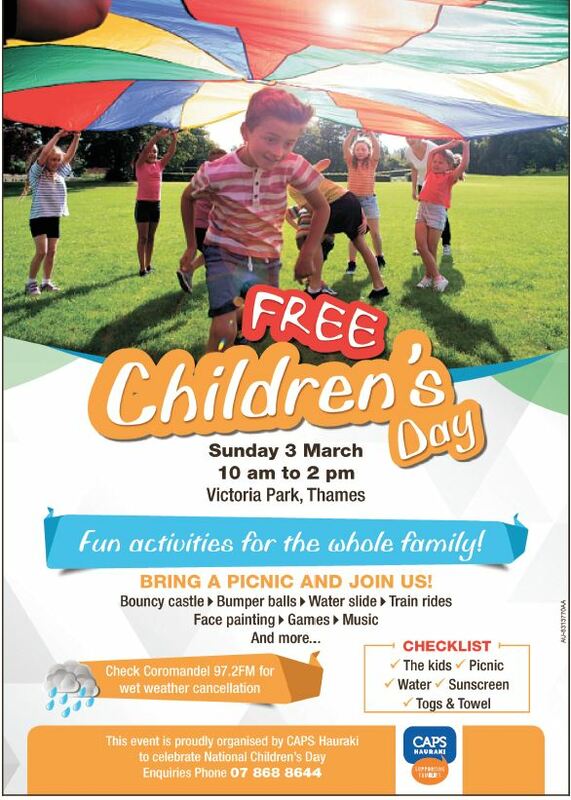 The next Children's Day will be held on Sunday March the 3rd at Victoria Park in Thames from 10:00 am to 2:00 pm. ​If you want to be involved in this magical day please contact us via the Contact page.